Police are seeking witnesses to a burglary which happened in the early hours of Valentine’s Day. 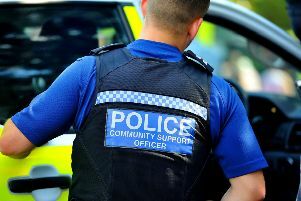 Thieves broke into a house in Mitten Road some time between 1.30am and 2,30am and stole laptops, a handbag containing a mobile phone and credit cards, two TVs, a Bluetooth speaker, a jukebox and other small items. Police later recovered the jukebox, the mirror and one of the TVs at another address in Bexhill. Detective Constable Julian Stokes, from Sussex Police, said: “Have you been offered items like the remaining ones the Bexhill area since then? A 42-year-old man from Robertsbridge and a 41-year-old man from Bexhill have been arrested on suspicion of burglary. After being interviewed they were released on police bail until March 11 while enquiries continue.